This exhibit depicts the first part of a bifrontal craniotomy procedure to repair multiple traumatic head injuries. 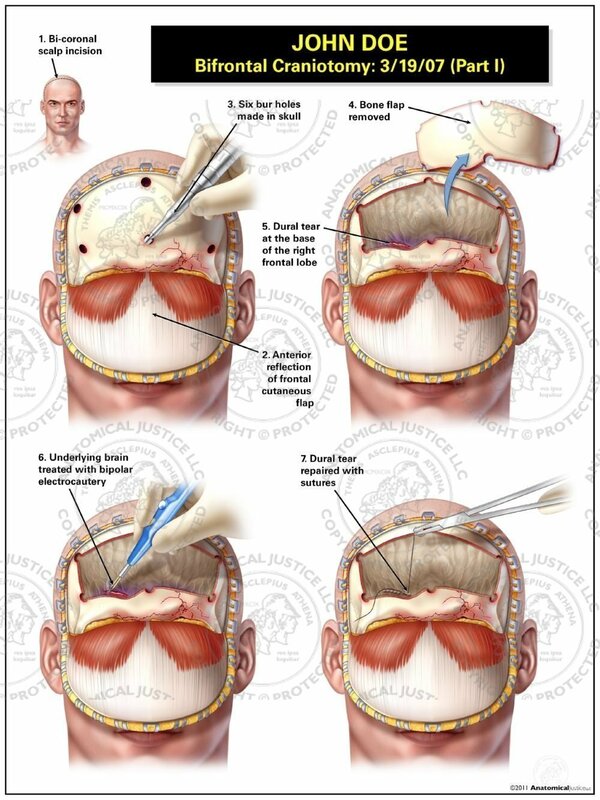 A bi-coronal scalp incision is made and the frontal cutaneous flap is reflected anteriorly. 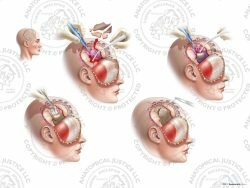 Six burr holes are made in the skull and connected with a drill to create a bone flap. 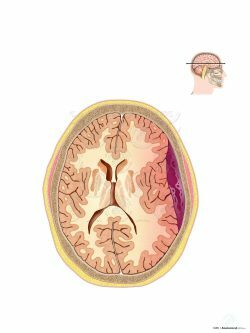 The bone flap is then removed to reveal a dural tear at the base of the right frontal lobe. 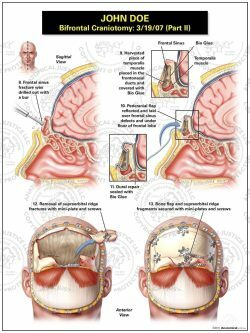 Bipolar cautery is utilized to treat the underlying brain tissue and the dural tear is repaired with sutures.